Michael K. Muldoon has been representing victims and family members of victims of personal injury and wrongful death for over 30 years. While his home base has always been Cook County, he has represented clients in all the collar counties and other counties both in and out of Illinois. His experience includes over twenty jury trials to verdict as well as multiple settlements for over one million dollars. Mr. Muldoon is admitted to practice in the State of Illinois and the U.S. District Court, Northern District of Illinois. Mr. Muldoon has authored or co-authored chapters in books published by the Illinois Institute for Continuing Legal Education and has lectured at seminars sponsored by the Illinois Trial Lawyers Association, the Chicago Bar Association, Lorman Education Services and other legal organizations. He belongs to several professional organizations, including the Chicago Bar Association, the Illinois Trial Lawyers Association, the Illinois State Bar Association, and the American Association for Justice. 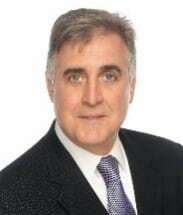 Mr. Muldoon is also active in charitable and religious organizations and has extensive experience communicating with the media regarding legal issues. Mr. Muldoon had been with Corboy & Demetrio P.C. for ten years before joining with his brother John to form Muldoon & Muldoon, P.C. Michael continues to concentrate on representing victims of personal injury and wrongful death. He earned his Juris Doctor from the Chicago Kent College of Law and holds a Bachelor of Arts in Economics from the University of Notre Dame.